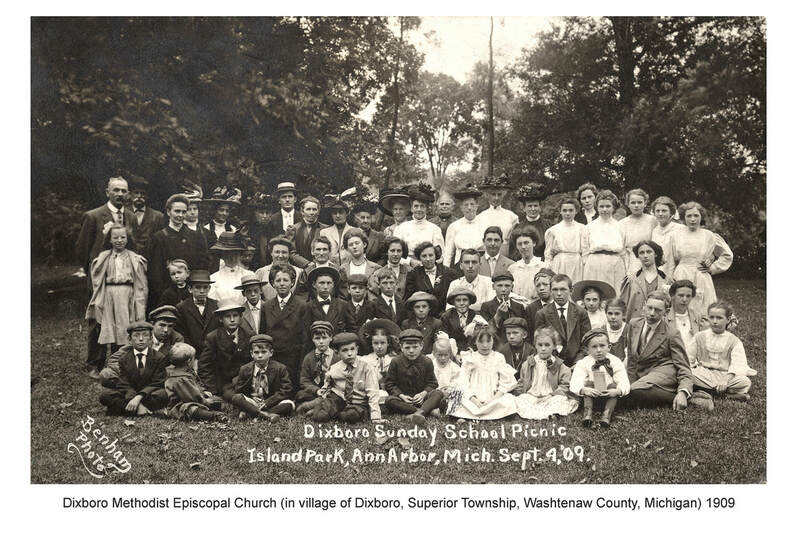 Fast forward to 1908, fifty years after the Dixboro Church was built. The pastor who served between late Oct. 1906 through Sep. 1909 was a student in Ann Arbor. A catalog of Officers and Students, published in 1912 by the University, lists his graduation: "Chester Miller Loomis, A.B., A.M. '10. Methodist Clergyman. Clayton, Mich." The fall 1906 appointment was listed as "Dixboro – to be supplied" in the Detroit Annual Conference journal. 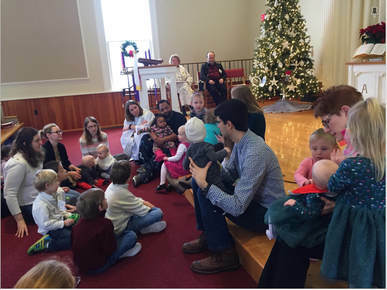 Apparently Mr. Loomis was in the right place at the right time to serve the Dixboro Church and must have done well. In Dale Leslie's booklet, Tidbits & Trivia, it says on p. 19, "46 members were received into the church during the Loomis's pastorate." That number looks good to me, even though he served two small churches: Dixboro Church and Free Church (a non-denominational church a few miles east). In Rev. Ronald Brunger's history, he mentioned a Nov. 1906 meeting: "The official board met at the Church to reorganize – Pastor (C. M. Loomis) in the chair. Present[:] Philo Galpin, Sarah Shuart, Mary Rice, Mrs. Cowan, Mary Keedle, — John Quackenbush was elected chairman — Mary Keedle Sec. [&] Treasurer. Mr Mattison and Quackenbush were appointed a committee to hire a janitor. Motion made and carried to buy brackets to put in seats for collection envelopes." Chester had married Agnes M. Taylor in 1903. She was five years younger. They had no children in the 1910 census, but the 1920 census listed two children, ages 7 and 6, Chester M. and Helen. The memorial pages at Findagrave.com show both deaths in 1959 on the single stone in Forest Home Cemetery, Greenville, Montcalm County, Michigan. They had lived there since the 1920 census. I researched my Loomis ancestors many years ago. In the book, Descendants of Joseph Loomis in America (1908), p. 404, no. 7859, Chester M. Loomis was born March 19, 1874. His (and my) immigrant ancestor had come to America from England in the late 1630s, along with many relatives. I have no idea if Rev. Loomis and/or his family are in this photo.